Americans are not only living longer, but living single for more of their lives than ever before. In the 1970s, only about one-third of Americans 15 and older were single. Today, that number is closer to 50 percent. This raises an important question: Do single people need to be concerned with estate planning as much as their married counterparts? The answer is a resounding yes. Single people face unique (and often complex) issues that require advanced planning, time and the help of an experienced professional. 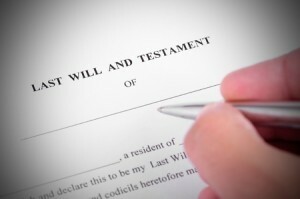 For example, when married people die without a will, in many states their assets often pass to their spouse in a fairly straightforward manner. But what about single people? Without a will or trust, the assets of a single person likely will be distributed to their closest family members, even if that’s not what the deceased would have wanted. And if a single person has no living relatives, assets can wind up with the state. A will or trust is an important tool to make sure that assets go to preferred relatives, friends or charitable organizations. Single people should also designate a trusted loved one or friend to manage assets and health care decisions, should they become incapacitated. Every single person should have a power of attorney, an advanced health care directive and a HIPAA authorization allowing the designated person to make financial and medical decisions on their behalf. And don’t forget beneficiaries: Certain accounts, such as retirement plans, require account holders to designate a beneficiary when they enroll. If you’re divorced, it’s a good time to update your beneficiary designations.